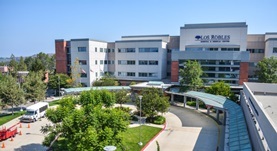 Dr. Catherine Moses graduated the medical school from the Brody at East Carolina University and completed her residency program at the Harbor-UCLA Medical Center. A fellowship followed at the University of California Irvine College of Medicine soon after that. She is specialized in radiology and board certified in diagnostic radiology. Dr. Moses has been in practice for more than 20 years and is affiliated with the Los Robles Hospital and Medical Center.